Our Online & Offline Call Reporting Services are Fully Hosted, PCI Compliant and Secure Platform that Delivers. The Dashboard Interface is Very Clear and Effortless to Navigate and Compiles Reports Such as Call Location, Missed Call Analysis, Call Logs and Call Trends not Available through Traditional Online Analytics Platforms. We Provide Our Clients With the Ability to Track all Phone Calls From their Online & Offline Marketing Efforts so they can Determine true ROI. 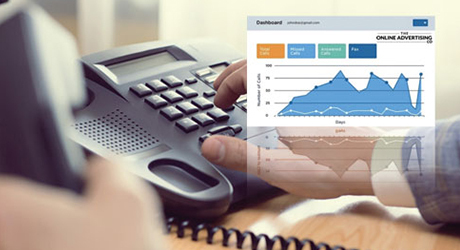 Real Time Reporting on All Aspects of Incoming Calls, Giving you a Greater Understanding of How, and from Where Calls are Generated. Call Recordings to Understand how Calls are being Handled Internally.